Hunting dragons is in Alanna Carlyle’s blood. Just like generations of her family before her, she’s trained all her life as a dragon hunter. It’s a life dedicated to one purpose, and one purpose only, with no time for friendship – or love. It’s unthinkable that a dragon could ignite such a fierce desire within her – especially not the very dragon she’s been sent to kill. Dragon shifter Magnus spent years as the captive of an evil dragon hunter. With no memory of his family or clan, Magnus is cut off from his hoard and his heritage – until one touch of Alanna’s hand sparks memories within him he’d thought he’d lost forever, and stirs his soul in a way he's never known before. When destiny throws Alanna and Magnus together, danger closes in on every side. Can they learn to trust each other and unravel the secrets and lies that hide around every corner? And do they dare to give in to the smoldering passion between them? 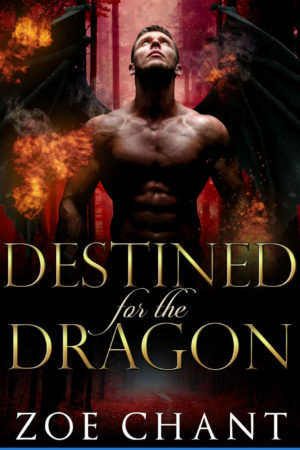 Combining magical romance and heart-pounding action, Destined for the Dragon, the third in the Lost Dragons series, will delight fans of TS Joyce, Terry Bolryder, and Harmony Raines. Pick up this steamy, action-packed standalone paranormal romance today! No cliffhangers!